Family and friends are invited to attend the funeral services in honor Mr. Ormonde. Visitation will be held on Wednesday, September 5th from 5:00 p.m. to 9:00 p.m. at Greer Family Mortuary and Cremation Services, 2694 Blanding Ave., Alameda. 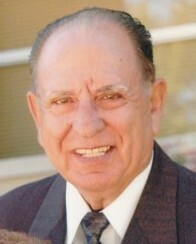 The funeral mass will be held on Thursday, September 6th at 10:00 a.m. at St. Barnabas Church, 1427 6th St., Alameda. Mr. Ormonde will be laid to rest with his wife at Holy Sepulchre Cemetery in Hayward.